One of the most common smile and tooth related flaws is crooked teeth. Not only do crooked teeth affect your smile and confidence, they can also bring a number of dental issues. Worse, they can make your smile unattractive! At Ria Family Dental, we can help you reinvent your smile! Orthodontic options by your trusted Yeronga dentist can give you the celebrity-worthy smile of your dreams! And with Invisalign, it’s possible not to have a “train look” in your mouth while your teeth straighten! Invisalign is an orthodontic option which offers convenience and other advantages over traditional braces. 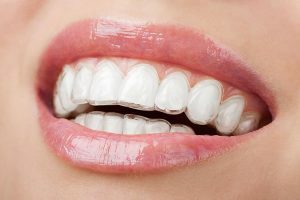 The equipment is a series of clear, removable, plastic aligners. They are nearly impossible to detect when worn, making them a popular option among young adults. Each Invisalign tray is custom-made to the unique measurements of the patient and is worn for two weeks. Each tray is worn for 20-22 hours a day and should never be removed unless during eating, brushing your teeth, or engaging in a sports activity. The removable trays work discreetly, and slowly move your crooked teeth into place to correct alignment. Orthodontics in general address a number of dental issues other than just correcting crooked teeth. Orthodontic treatments are not just beneficial cosmetically but also have other benefits. The following are dental problems addressed by Invisalign. Your jawbone may be too large, giving your teeth too much space. The result is wide spaces in between teeth. This is the opposite of the first situation. The jawbone is too small for your 32 teeth to fill, resulting in the crowding of your teeth. The lower teeth can protrude past the upper teeth when the upper jawbone is smaller compared to the lower jawbone. This is the opposite of underbite. The lower jawbone is smaller compared to the upper jawbone, resulting to your upper teeth protruding past the lower teeth. Invisalign is a popular orthodontic option. We have listed the noteworthy benefits of Invisalign. Ria Family Dental, where gorgeous and charming smiles are achieved with a twist. Get your straight teeth with Invisalign today!